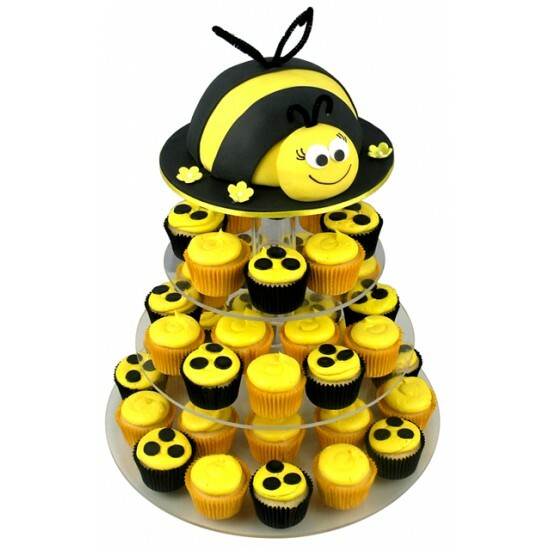 This Bumblebee birthday cake really causes a buzz. 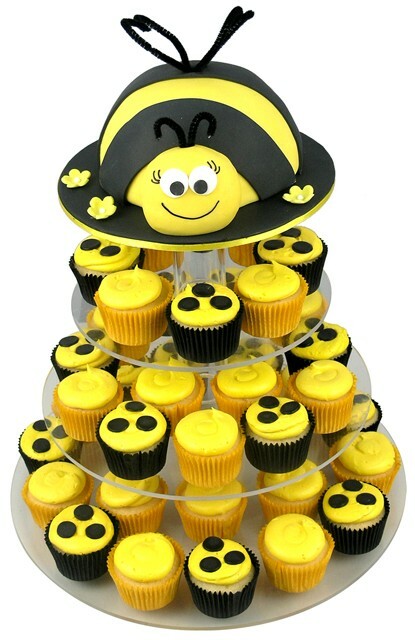 On top of the cupcake tower is a bumblebee cake, with 40 cupcakes below, decorated with yellow boston cream icing and alternating chocolate buttons. 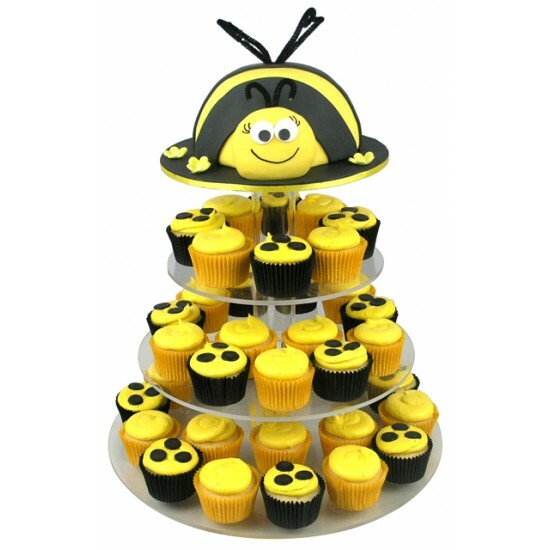 This gorgeous cupcake tower really causes a buzz. 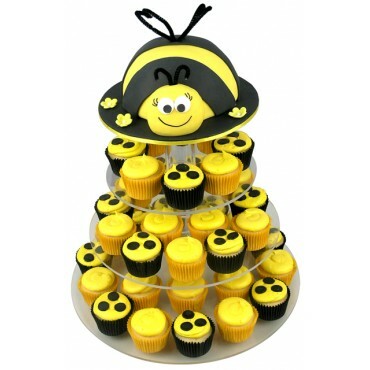 The main cake is bee shaped and coloured in black and yellow icing, complete with wings and a smiling face. 40 cupcakes (available in Vanilla & Chocolate) are decorated with yellow boston cream icing, with every other cupcake decorated with chocolate buttons.